Despite the name, business disputes are rarely “just business.” In fact, they are often quite personal. Business transactions are based on trust – trust that a bill will be paid on time, a contract will be honored, or that a partner or member has the business’s best interests in mind. When this trust is violated, a business dispute becomes personal very quickly. Business disputes involve personal trust, but they put more than personal relationships on the line. A complex business dispute can jeopardize not only a business’s profitability and reputation, but also the business’s very existence. At The Armstrong Law Firm, P.A., our experienced eastern North Carolina business dispute attorneys can help you sort feelings from facts, so you reach the result that protects both your business and personal interests. We practice business law in a family atmosphere, providing the personalized support you need while standing Strong for You throughout the process. 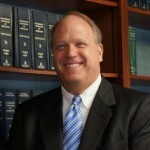 Our attorneys often describe their work as “helping people solve problems.” When confronted with a business dispute, the first step is to investigate the facts and review all appropriate documents. Although our attorneys are first and foremost trial attorneys, we will use mediation or alternative dispute resolution options if they can help you resolve your problem effectively. Some situations require immediate action to preserve the status quo, such as an injunction. We know how to protect you quickly with injunctive relief, if necessary. Some disputes cannot be resolved without a lawsuit. Our attorneys are no stranger to the courtroom, having litigated civil cases throughout eastern North Carolina for over 30 years. 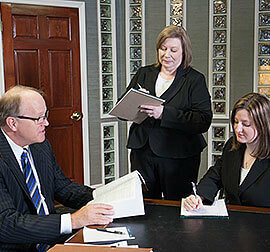 The Armstrong Law Firm, P.A., offers clients the benefits of a big city firm in a small town atmosphere. Our firm is free from local business interests or influences, and our mission is to protect and defend individuals harmed by business disputes. Unfair business practices. This category includes fraud, misrepresentation, and oppressive or unconscionable acts. Unfair business practices may be involved in nearly any area of business, from the handling of purchases to insurance or real estate questions. In addition to interfering with the course of businesses, these bad faith practices can make maintaining your business’s pursuit of its goals even more difficult. Breach of contract. Trust between businesses is built on contracts – agreements, usually written, that bind the parties to certain responsibilities in exchange for agreed-upon compensation. When a contract is breached, we can help you hold the breaching party responsible. Contract disputes. Many contract disputes arise over the terms of a contract, even before a breach occurs. Whether your disagreement is with an employee, customer, or colleague regarding a contract provision, we can help you negotiate a mutual agreement that satisfies both parties. If those efforts are fruitless, we are prepared to fight for you in court. Shareholder, partnership, or membership disputes. Few business disputes are more personal than those involving shareholders, partners, or members in a company. Partners may dispute with one another or with shareholders about the proper way to structure plans and policies or the best direction for the company’s future growth. We can help you find a reasonable solution for these disputes, no matter how complex. Property disputes. Whether you are facing a commercial lease dispute, a landlord-tenant matter, or an issue related to insurance for commercial real estate or equipment, you need an attorney who understands business property disputes and will fight on your behalf. Similarly, company restructuring disputes involving real estate, buildings, or fixtures can be handled efficiently, allowing your business’s growth to proceed. Collections and money disputes. Collecting money you are owed can become a drain on your time, resources, and patience. Your attorney can help you ensure that debts and court judgments are paid, so that you can focus on continuing to work with business clients and colleagues with the means and willingness to pay their debts on schedule. At The Armstrong Law Firm, our attorneys combine a family-like practice atmosphere with a commitment to be Strong for You at every phase of the process. We begin by listening carefully to your needs, expectations, and ideal result. We work with you to gather all the necessary information to build a strong case on your behalf – business records, copies of contracts and other documentation, and testimony from witnesses and other individuals involved in the dispute. When needed, we call on the expertise of forensic accountants and other professionals to help us ensure that we leave no stone unturned in the pursuit of evidence to build your case. Then we strategize. Many business disputes can be effectively and efficiently resolved without going to trial, so we consider all the options available, including negotiating a settlement, working out disputes in mediation, or attending arbitration. If you are unfamiliar with these options, we make sure that you understand how each one works and how it can benefit your case, as well as the potential drawbacks. We prepare for the possibility of trial at every step of your case. When the time comes to step into a courtroom on your behalf, we do so with the confidence that we understand your goals and are prepared to fight for you. From our first day as your attorneys, we stand by your side – as we have for every client we’ve represented in the past 30-plus years. We pride ourselves on our personal approach to our clients, because we understand that business is about more than just numbers. You’ve invested your time, effort, and attention into your work. We’re here to help you protect that investment. To learn more about our experience and commitment representing clients in business disputes, contact our office today. We focus on helping businesses throughout eastern North Carolina.